The policies and activities of Trinity Christian Preschool are decided by all staff members and controlled by Trinity Lutheran Church. 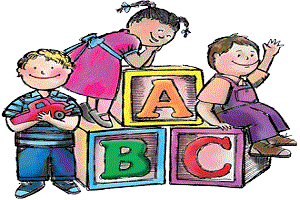 The school meets or surpasses the recommendations of the State of New York for preschools. We are not a special needs preschool. We are able to handle students with mild age-related delays, but would be unable to meet the needs of a child with developmental or behavioral problems. We admit students of any race, color, national and ethnic origin to all the rights, privileges, programs and activities generally accorded or made available to students at our school. We do not discriminate on the basis of race, color, national and ethnic origin in administration of our educational policies, admissions policies or other school administered programs. Month of January: Members of Trinity Lutheran Church, children currently enrolled in our school and their younger siblings. After January: Enrollment opens to the community. 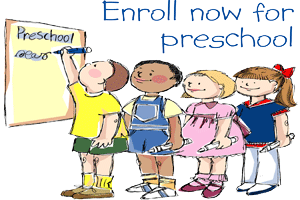 ** Children enrolling in the three day, 4 year old program should be four on or before December 1st. ** Children enrolling the two day, 3 year old program should be three on or before December 1st. ** It is preferred that all children be fully toilet trained before entering our program. We will allow children in our 3 year old program to come to school in Pull-Ups, but would encourage them to be toilet trained by December of the current school year. ** We follow the guidelines set forth by Spencerport Central School District regarding immunizations. Classes begin at 9:00 a.m. Please do not bring children before 8:50 a.m. Dismissal will be at 11:45 a.m. for students in the 4 year old program and 11:30 a.m. for students in the 3 year old program. Your child and the teachers appreciate your promptness. Upon arrival, please help the children remove their coats, use the bathroom and accompany them into the classroom. The teachers will dismiss the children only to authorized people. If you make arrangements for someone else to pick up your child, please inform one of the teachers in advance. We celebrate all major holidays. We have a costume party at Halloween and a visit from Santa and Mrs. Claus at Christmas. Thanksgiving, Valentine’s Day, St. Patrick's Day and Easter will also be celebrated in the classroom. We follow the Spencerport Central School District's decision on snow days. Any time they announce closings due to snow conditions, you may assume that our school will be closed also. Furthermore, we reserve the right to cancel classes due to inclement weather or in an emergency. While our school is not run for profits, it cannot afford a loss. The programs are completely self-supporting and the expense of operation must be met by parent contribution. Tuition is payable in advance annually or monthly. A late fee of $5.00 will be charged for any payment more than 5 days overdue. All outstanding tuition payments must be made no later than May 31st of the current school year or the child will not be allowed to participate in Graduation Ceremonies. We regret that we must pass on to you the $25.00 fee charged by our bank for returned checks. Trinity Christian Pre-School has been serving the children and families of Spencerport and surrounding communities for over 30 years. Our goal is to provide a positive and happy first-school experience in a Christian atmosphere and to instill in each child a love of learning and a love of God. We feel that Trinity Christian Preschool is unique in its gently structured blend of both learning and play activities. Our daily schedule includes free play, circle time, project time, Bible story, songs, prayers, finger play, snack, story time and large motor activities. A field trip is included in the Four year old program only. Among the goals for the younger children is the development of socialization and listening skills, the growth of self-expression through success in age appropriate activities. For the four year old children, these objectives will be expanded to include those skills necessary for a happy and successful entrance into kindergarten. During the second half of the year, we will begin a more formal program of kindergarten preparation. Each child will be encouraged to progress at his/her own rate in learning skills such as identifying their name, address and telephone number, letters of the alphabet, numbers, colors, shapes, counting to 20, etc. We will attempt to motivate, not pressure, for we know that each child will learn only when he/she is ready.